Well it nice to know that the Irish take crimes against cats seriously. A 21-year-old intoxicated man, Flood, who has no memory of his crime (he was that drunk), punched a cat that was sitting on a roadside pillar. Fortunately he was seen by a police officer, Laura Hynes. She arrested him. He was charged under the animal welfare laws of Ireland and under a public order offence. 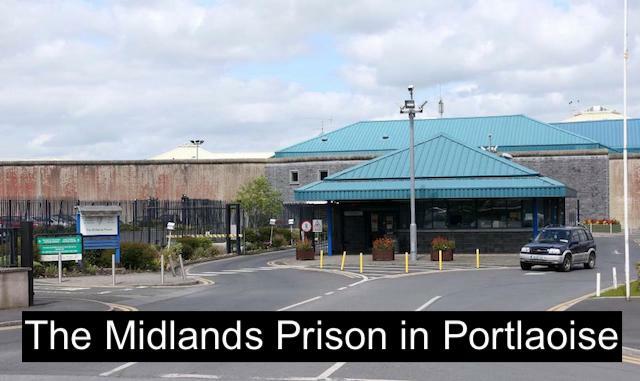 Midlands Prison – where Flood who punched cat is currently residing. Enjoy. Photo: Collins Photo Agency. Judge McLaughlin punished Flood with a one month prison sentence for punching the cat and an additional two months for a public order offence. Flood is currently in the slammer in Portlaoise. His one month prison sentence for cruelty to the cat pleases me. I believe that a lot of the time people like him get away with this sort of casual cat abuse. The CEO of the ISPCA is also pleased. Great, I hope it sends a signal out to others who have a fancy for indulging in casual violence towards animals and cats in particular. Let them be punished. There is no report regarding the welfare of the cat. I hope she/he is alright. This entry was posted in crime and tagged cat abuse, Cat News, crime, Ireland by Michael Broad. Bookmark the permalink.